Yakitori is one of the typical Japanese foods that is associated with Tokyo. 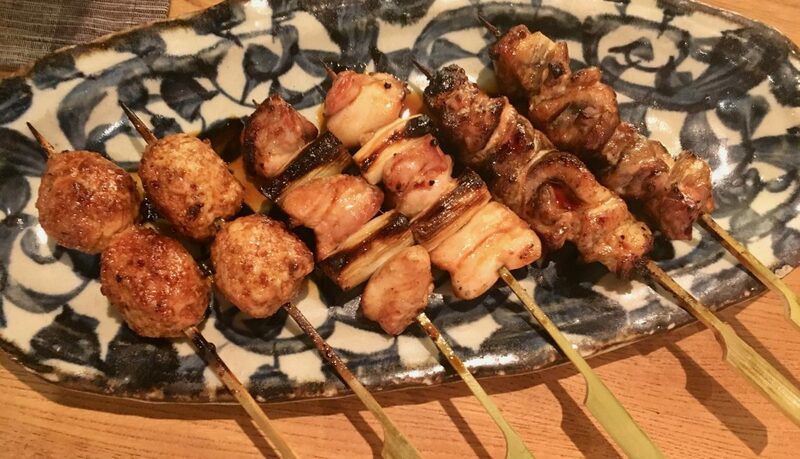 These chicken skewers go way back in Japan, over a 1000 years, but it wasn’t until the early Edo period (mid-17th century) that they have been properly described. While they were initially a food during temple festivals, they became a food item that was sold throughout the whole year in dedicated street stalls. At the start of the 20th century many of these shops appeared between Shimbashi and the Manseibashi bridge (Akihabara) in Tokyo. After World War II, the popularity of yakitori exploded and spread throughout Japan. Those initial yakitori stalls are no longer there. 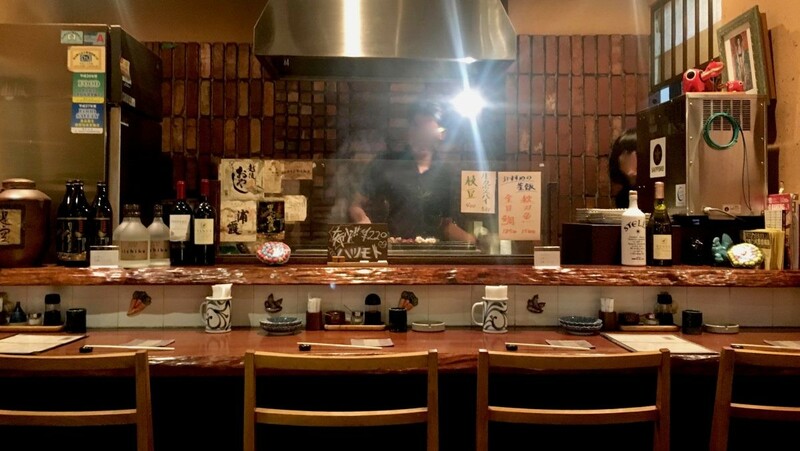 The oldest still-running yakitori joints in Tokyo opened in the 1920s (Isehiro in Kyobashi in 1921, Edomasa in Higashi-Nihombashi in 1924). Yakitori places are usually small and a little bit on the dirty side with all the smoke and beer that goes around. They are filled with salary men who are devouring skewer after skewer, while loudly discussing the events of the day. However, this traditional image of yakitori is changing fast. These days gourmet options are available such as Torishiki (in Meguro) and Birdland (in Ginza), bringing them to Michelin star level. 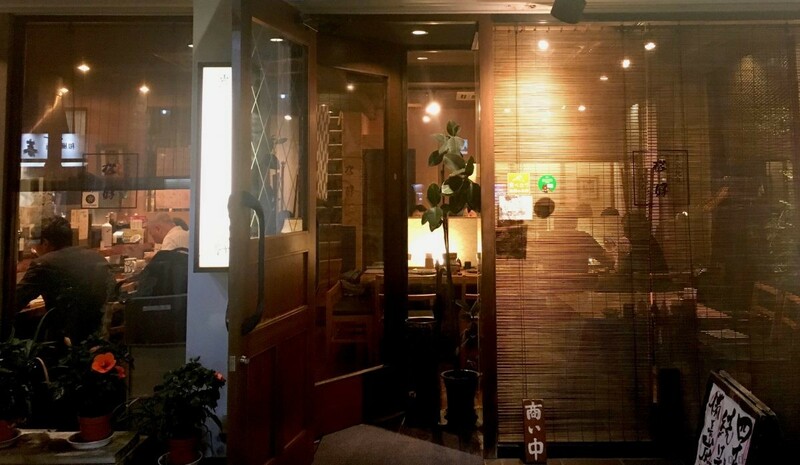 Trendy places, often a mix between an izakaya and a yakitori place, are widespread as well. Their atmosphere is more subdued and the quality of chicken meat is high. Entrance of Matsuyoshi in Nezu, an izakaya specializing in Yakitori and Kamameshi. Local but trendy yakitori. Toridori: the interior is very sleek Japanese design and they are using premium chicken. Restaurants in Shinjuku (at 4 different locations), around Tokyo Station (4 different locations), Iidabashi, Ikebukuro and Nihombashi. Momotaro: dimly lighted atmosphere, slightly on the more expensive side, popular with a bit more upper class salary man. Restaurants in Ebisu, Azabu-juban and Naka-meguro. Torikizoku: low-price chain popular with students, early career professionals and tourists with no money. With hundreds of restaurants in Tokyo and almost 500 in total all over Japan (October 2017). Still, most of the yakitori restaurants are independently run and offer unique and authentic flavours. In the heart of shitamachi there is a place called Matsuyoshi, next to Nezu Shrine, in business for over 40 years. They specialise in yakitori, but also in kamameshi (clay pot rice), which provides a balanced menu for a night’s out. It is a rather local place, inexpensive, but with a certain class. The interior of the restaurant is very neat, and most importantly, the yakitori taste great. English menu available. The grill area and counter of Matsuyoshi in Nezu. Negima: white meat and spring onion. Speciality meat if also on offer such as white liver. Next to chicken, you can get various types of vegetables on a skewer as well such as Shiitake mushrooms and aspergus. These is no special protocol to eat yakitori, just bite them of the stick, and put the finished stick in the skewer container (usually cilinder shape). All yakitori come pre-flavored, so no need to add your own. In Matsuyoshi, they have been using the same sauce for over 40 years, most of the yakitori are flavoured with this sauce.